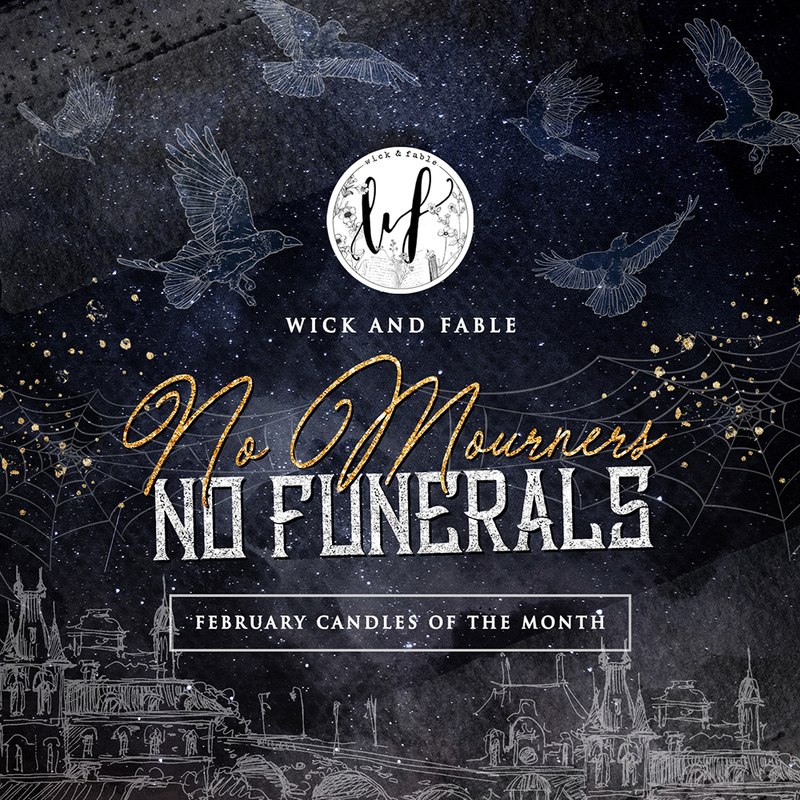 Our theme for February is... NO MOURNERS, NO FUNERALS, celebrating everything Six of Crows and Crooked Kingdom!! In this box, we'll be featuring a collectible as deadly and notorious as The Dregs. Don't forget-- we'll have 5 glass jar candles in each box, along with 8+ magical heist loot more valuable than Kaz's precious kruge! Due to the Spring Festival, boxes will not be shipped until early March, however we will be doing everything on our end to get it out as early as possible. We're doing something different with this box and will be including 2+ items that is great on it's own but can also be pieced together with our March The Fold and Beyond box.